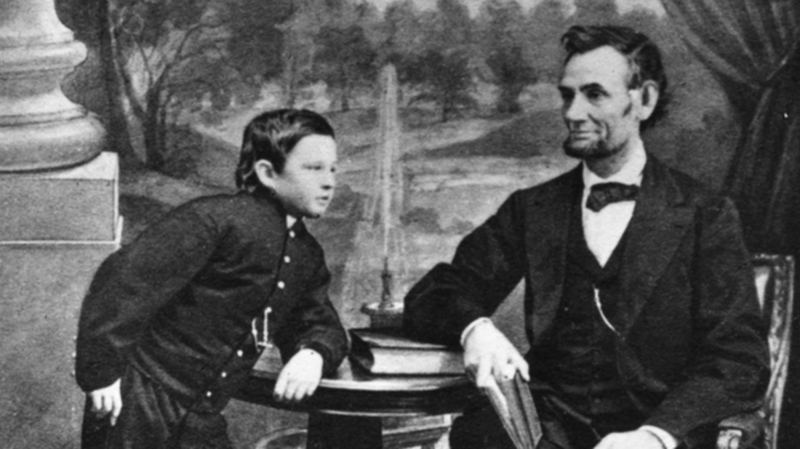 Honest Abe was many things, but a strict, no-nonsense father wasn’t one of them. More often than not, he reveled in his children’s escapades—even those that drove other grownups crazy. Lincoln let Willie and Tad convert his Springfield office into their own anarchic playground. “They would take down the books, throw pencils in the spittoon, empty ash buckets, coal ashes, inkstands, papers, and letters, put them in a pile and then dance on the pile,” Herndon vented. But as wild as they could be, Lincoln’s kids were seldom disciplined. After our 16th president was sworn in, Willie and Tad ran roughshod over his staff. And one of their favorite pastimes nearly pushed the White House gardener to his breaking point. Jack would then get dragged outside and shot, courtesy of Tad’s model cannon. This brings us to John Watt, presidential horticulturist. Naughty Tad had long been a thorn in Mr. Watt’s side. On one occasion, Tad ate every last strawberry that the poor man was cultivating for a White House dinner party. As if this weren’t bad enough, the boy’s pet goat, Nannie, just loved his flowers. Whenever Jack joined the choir invisible, he was given a solemn funeral. Unfortunately, that’s where Mr. Watt’s rose bushes came in. Directly beneath these choice plants, the president’s sons buried, excavated, and re-buried Jack to their hearts’ content. One day, Watt couldn't take it any longer. This had to stop. Upon finding the twosome at play with babysitter Julia Taft and her two younger brothers, he made an innocent suggestion. Before anyone could bat an eye, Willie and Tad were off racing towards their father’s office. Close behind them ran Watt and the Tafts, with Julia hollering, “Don’t you dare bother the president!” Vainly, Lincoln’s private secretary tried halting this raucous bunch at the door. Gallant as his efforts were, though, the Great Emancipator couldn’t help but poke his head out. “Well, boys, what’s the matter?” asked Lincoln. You’d think that Jack would’ve cleaned up his act. Yet, just days later, Julia discovered him dangling from a tree with a noose around his neck. This time, he was guilty of espionage. What a pity.